"For older women, any and all movement counts towards better cardiovascular health," said Dr. David Goff. He's director of the division of cardiovascular sciences at the U.S. National Heart, Lung, and Blood Institute (NHLBI), which funded the new research. "When we tell people to move with heart, we mean it, and the supporting evidence keeps growing," he said in an institute news release. The researchers then tracked each woman's heart health over the next five years. 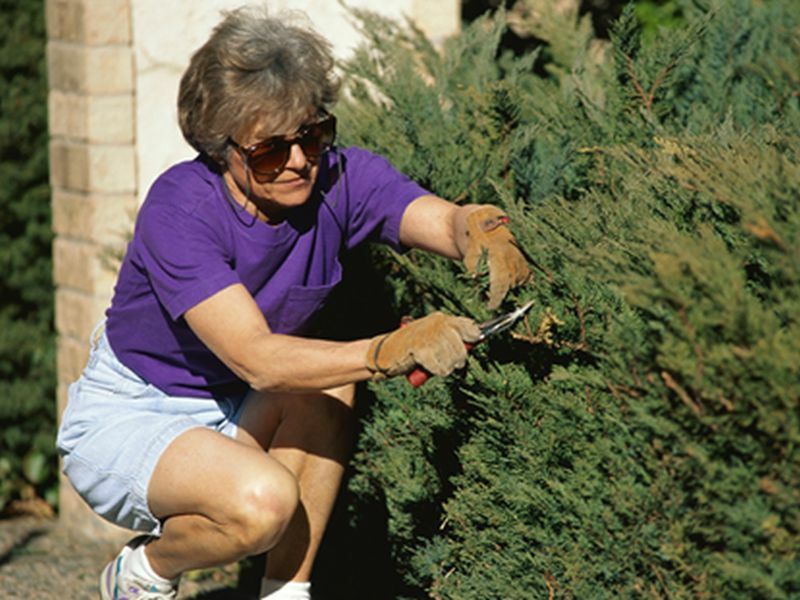 The investigators found that even light physical activity -- gardening, going for a stroll, folding clothes -- appeared to reduce the risk of stroke or heart failure by up to 22 percent, and the risk of heart attack or coronary death by as much as 42 percent. "The higher the amount of activity, the lower the risk," said LaCroix, who directs the Women's Health Center of Excellence at UCSD. "The risk reduction showed regardless of the women's overall health status, functional ability or even age," she added in the news release. "In other words, the association with light physical activity was apparent regardless of these other factors." Two cardiologists weren't surprised by the findings. "The findings support the American Heart Association's recommendation to focus on attaining 10,000 steps daily, and the 2018 Physical Activity Guidelines, which is in favor of such light physical activity -- even in small doses," said Dr. Eugenia Gianos. She directs Women's Heart Health at Lenox Hill Hospital in New York City. Dr. Guy Mintz directs cardiovascular health at Northwell Health's Sandra Atlas Bass Heart Hospital in Manhasset, N.Y. He said the new study is superior to older research because those studies tended to rely on people filling out daily-activity questionnaires, which are often inaccurate. Having the women simply wear a device to track their movements is much more reliable, Mintz noted. As for the results, he estimated that "the cardio-protective benefit of daily light physical activity in older women is similar in magnitude to the event reduction seen with statin [cholesterol] drugs," Mintz said. "This study represents a call to action for women of all ages to move. They do not need a membership at an expensive gym, but just a list of chores or activities, to keep busy with each day to lead a healthier and longer life," he suggested. It all hearkens back to a simpler -- and thinner -- era, he added. "Think of your grandparents cleaning their apartments or homes -- dusting, using carpet sweepers, polishing and washing windows, etc. They were a very active generation," Mintz said.